Although Haiti Outreach Ministries (HOM) North American Leadership represents a variety of Christian denominations, we do not focus on any particular denominational doctrine. Rather, we all on the foundational principles in Scripture that unite us and provide our calling. We are striving to love our neighbor through being the living, breathing embodiment of Christ in our daily lives and encouraging others to do the same. In Haiti, the Mission Communautaire de l’Eglise Chretienne des Cites (MICECC) is composed of a dedicated group of Haitian pastors, church leaders and teachers who seek to minister to the people of Haiti in the name of Jesus Christ through our churches, school and in the community. Many of these men and women have grown up in this ministry and we are proud to have watched them become the fine Christian leaders they are today. There is no doubt that God has touched the hearts of many and His work is clearly visible. 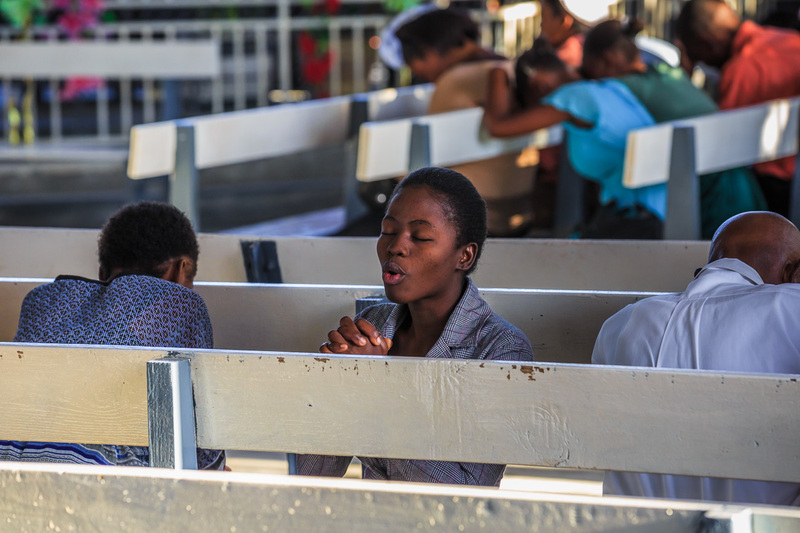 The mission of Haiti Outreach Ministries is to share God’s Good News and the love of Christ through evangelism, discipleship, and assisting in meeting the needs of the people of Haiti.